I found them okay, a little dry for me but that's what I have found for prepacked Muffins. I would try Good and Simple again but they would have to up their game. 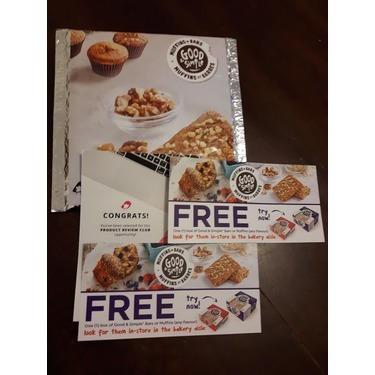 After seeing the giveaway for these on Chick Advisor and reading the reviews, I went out and bought a box of these and the banana muffins. I found these at Wal Mart for $3.97. 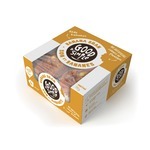 Each box comes with four individually wrapped muffins, which helps to keep freshness and makes them easy to grab on-the-go. There are plenty of chocolate chips inside the muffin, which melt and ooze after being put into the microwave for 30 seconds. The muffin is moist with a soft crumb. 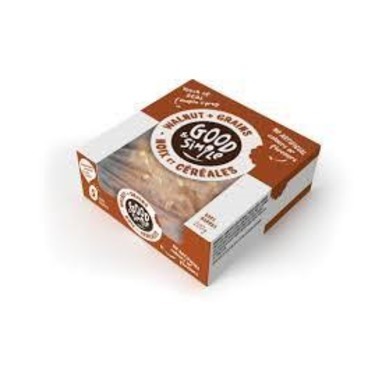 The texture reminds me of an oatmeal cookie, in terms of the oatmeal grain throughout, which provides a nice soft crunchy bite. 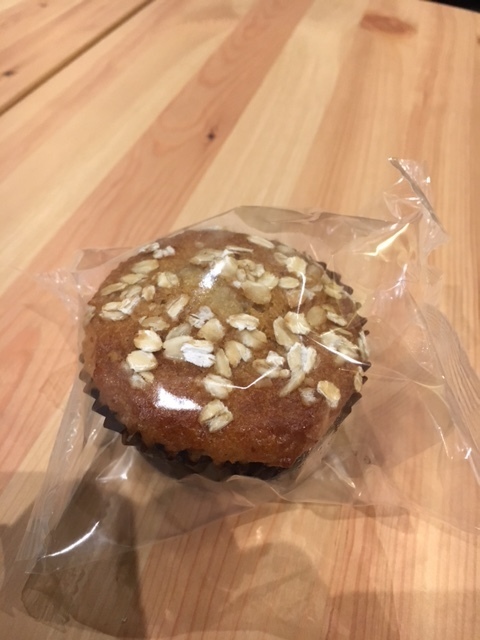 I really enjoyed how present the oatmeal was in this muffin. I warmed half of my muffin and kept the rest at room temperature, and I did prefer it at room temperature. 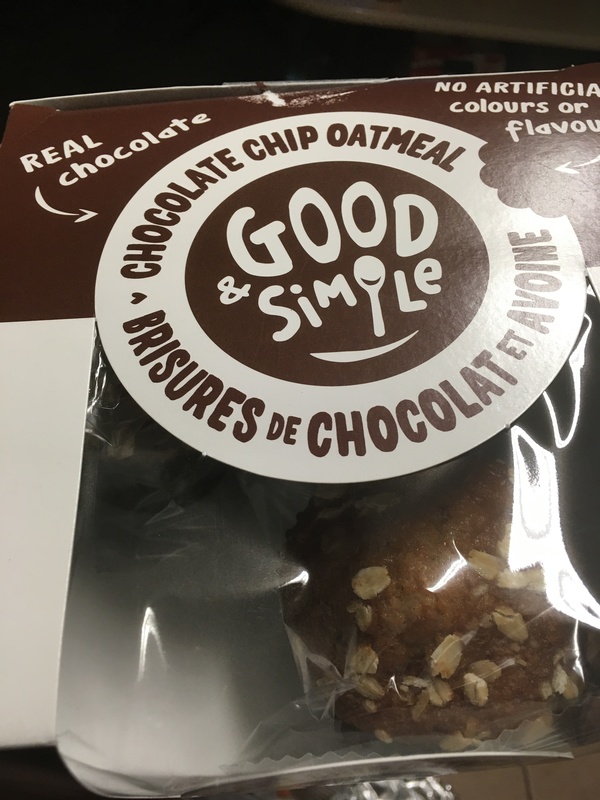 Oats and Chocolate - what could go wrong? 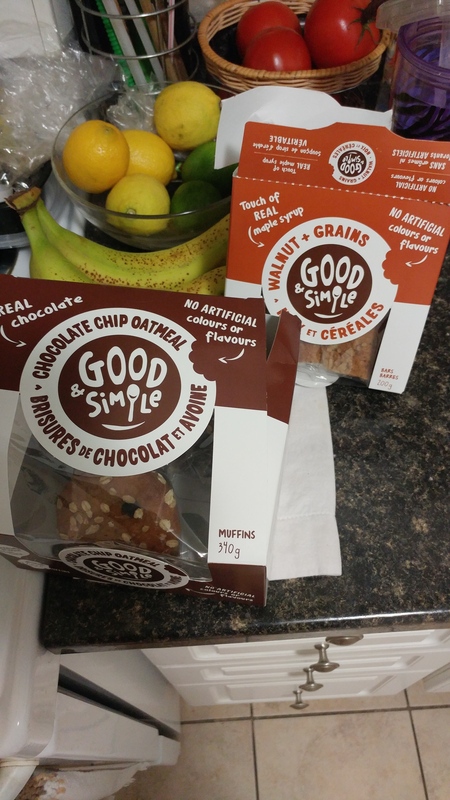 I got the chance to try the banana muffins from Good & Simple for free through ChickAdvisor. I am so glad I did because ever since my family and I have become addicted. 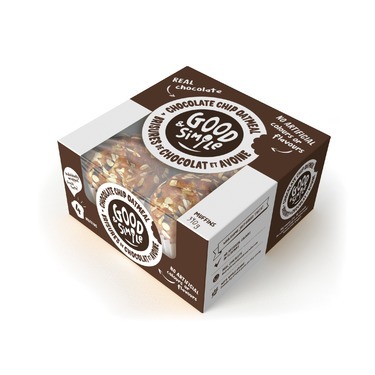 I LOVE chocolate so I knew I had to purchase a box of these chocolate and oatmeal muffins. They did not disappoint. 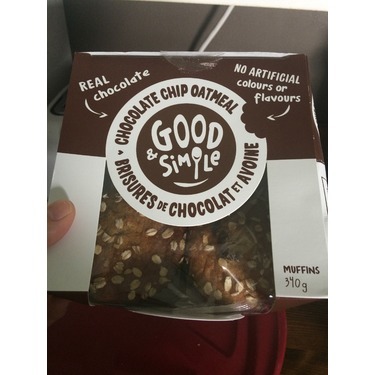 There are a lot of chocolate chips throughout the muffin which give a nice sweetness. 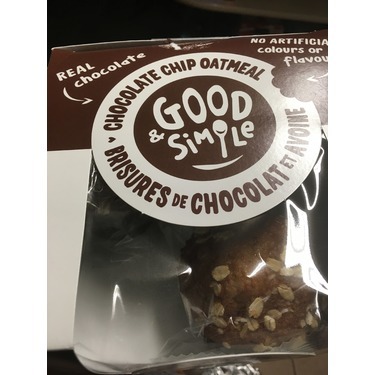 You can taste a strong oatmeal flavor throughout the muffin which adds a nice wholesome flavor and texture. There are also some whole oats sprinkled on top of the muffin which give a nice presentation. Each box comes with 4 individually wrapped muffins. 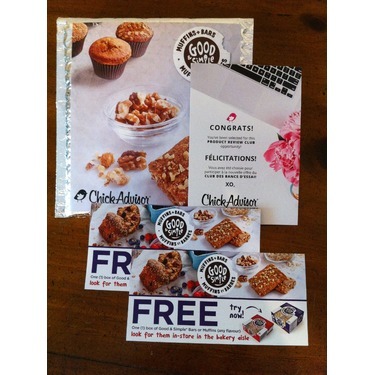 You can either heat them for 15-20 seconds for a more freshly-baked taste or just have them straight from the package. The muffins are a good size and made with ingredients you can pronounce. You can purchase these at Metro for $4.99 or Walmart for $3.97. I was skeptical about the pre-packaged muffins, but they were pretty good. They are a bit dry and the chocolate chips tended to be on the bottom. They also crumbled quite easily. However, my almost 4 year old loved them and is asking me to buy more! I purchased these muffins at Walmart recently as they were half price. I doubt I would have purchased them had they been at the regular price of $4.99 as I feel this is a bit pricey. 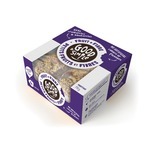 I did like the taste of the muffins, but a bit bland for my liking. It had an ample amount of chocolate chips and oats. I did enjoy the fact that they are individually packaged. I would have preferred if the muffins were a slight bit larger size and quantity in a package. 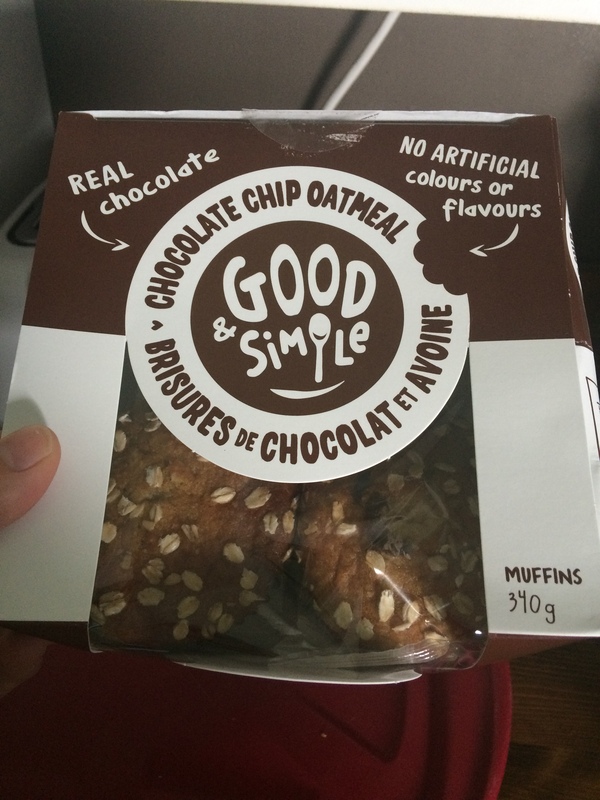 Best pre-packaged muffins I've had yet! 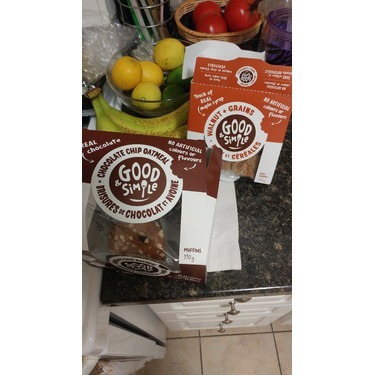 These muffins completely surpassed my expectations and are definitely the best store-bought muffins I've ever had! 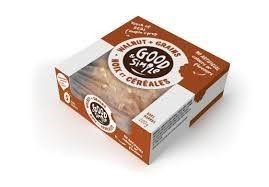 Generally speaking, I try to avoid muffins due to the high sugar content, but these have definitely changed my opinion -- especially knowing they're made with such wholesome ingredients. I love that they were light and fluffy and didn't taste like they were packed with tons of sugar. 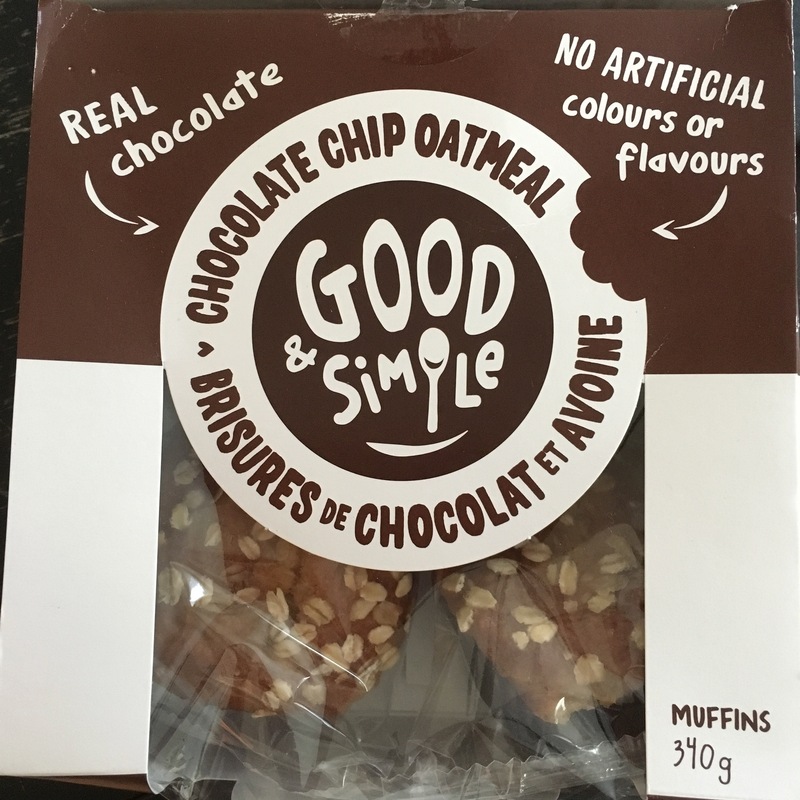 They genuinely tasted "good and simple". The individual wrapping is also great and kept them nice and fresh which is a bonus, because I'm often forced to throw out store-bought baking goods because they end up going stale on me before I eat them. So while the price is a little higher than usual, you end up paying for what you get as they use high-quality ingredients and the product stays fresher much longer -- so it's a win-win all around! 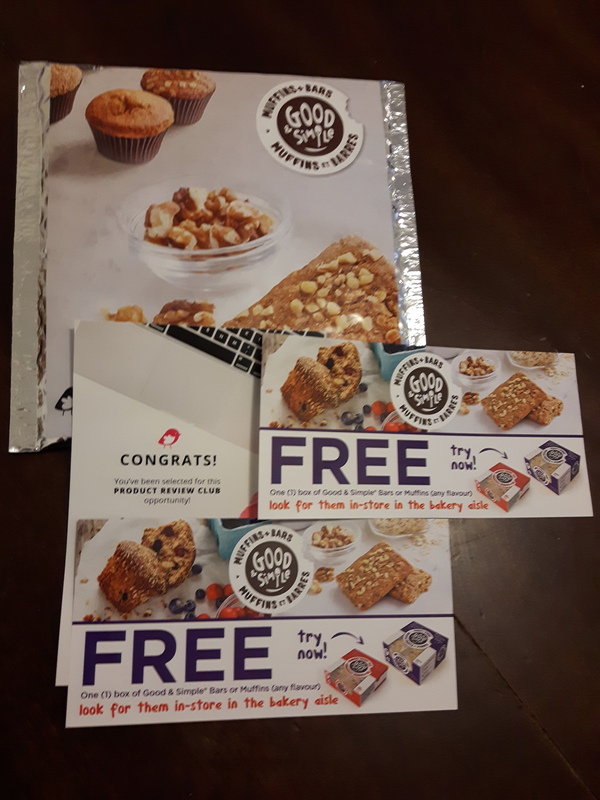 If these are any indication as to the rest of the product line, I'm definitely looking forward to trying more of their muffins and also the bars! 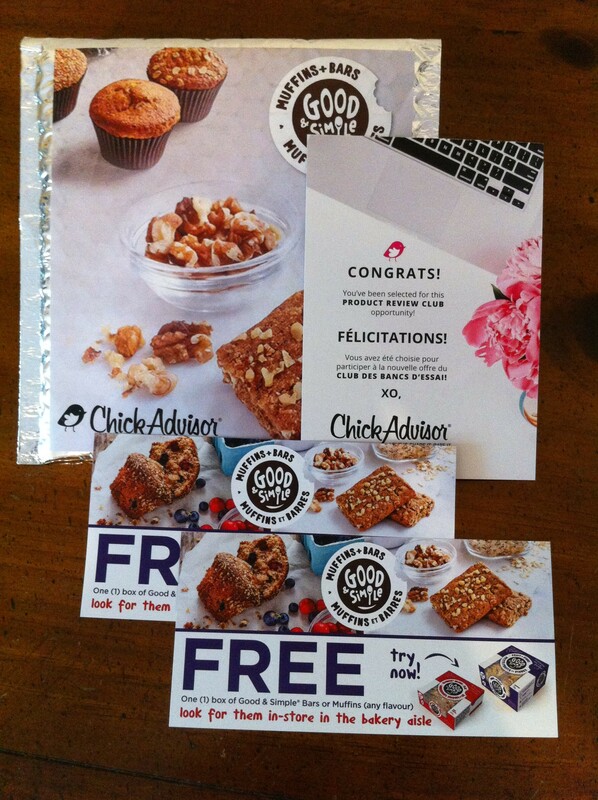 ** I tried this product for free as a ChickAdvisor staff member. I wont lie.. I was skeptical about these muffins because I find packaged muffins are usually quite artificial and starchy.. 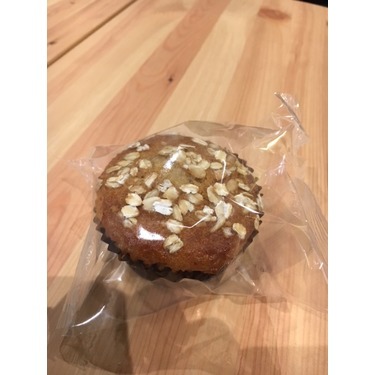 BUT to my surprise I found the quite opposite - I loved these muffins and the flavour, they were also very fresh, I really like how the muffins were individually wrapped. I will definitely repurchase! Une bonne option à l'épicerie! J'ai été agréablement surprise par ces muffins. La saveur de brisures de chocolat et avoine est particulièrement bonne. 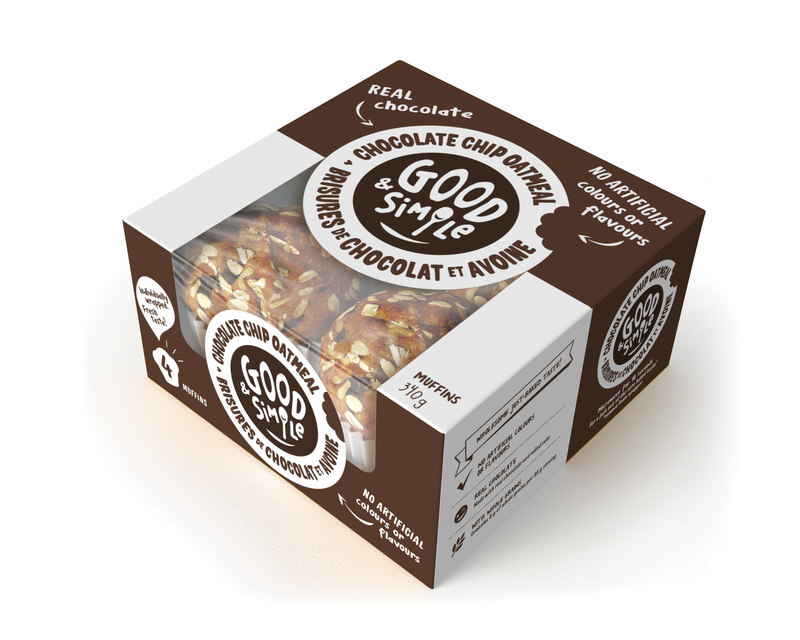 Pour une fois, enfin je goûte une sorte de muffins qui n'est pas trop sucrée! J'ai regardé les ingrédients et ces muffins sont plus santé que les muffins réguliers du commerce. Je cuisine beaucoup à la maison et je fais habituellement mes propres muffins, mais si j'ai besoin d'une solution rapide, je pourrais les racheter. Note: j'ai eu l'occasion de tester ce produit gratuitement dans le cadre de mon emploi chez ChickAdvisor, mais mon opinion demeure honnête.